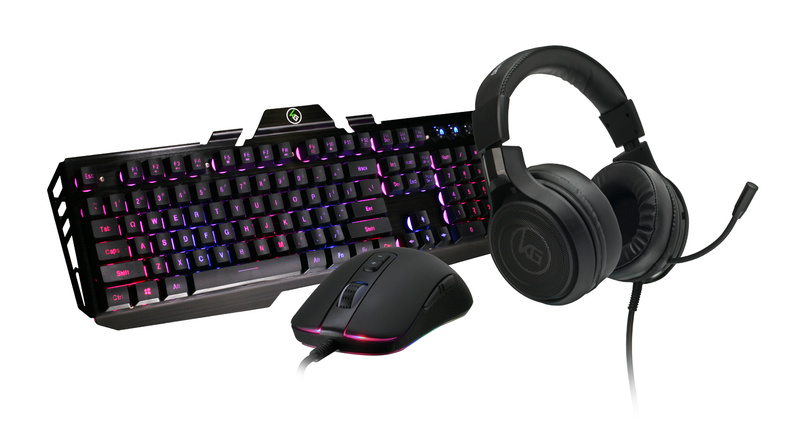 Take your gaming to the next level with Kaliber Gaming by IOGEAR's RGB Gamer Pack. 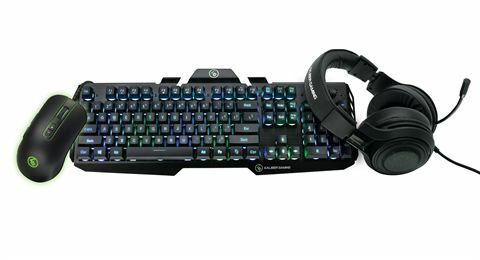 This special edition upgrade pack includes an all black version of Kaliber Gaming's HVER Aluminum Gaming Keyboard with multi-zone RGB backlighting, KORONA RGB Gaming Mouse, and NUKLEUS Universal Gaming Headset. This complete gaming bundle combines great looks with excellent performance, to help you take your gaming to the next level. Like all Kaliber Gaming HVER models, this RGB version of the HVER Aluminum Gaming Keyboard features an open frame design with elevated keys that appear to "hover" above the brushed aluminum chassis. As mentioned, this all black HVER model adds colorful RGB multi-zone LED backlighting with multiple lighting patterns, wrapped inside a fully blacked out exterior that looks as good as it performs. 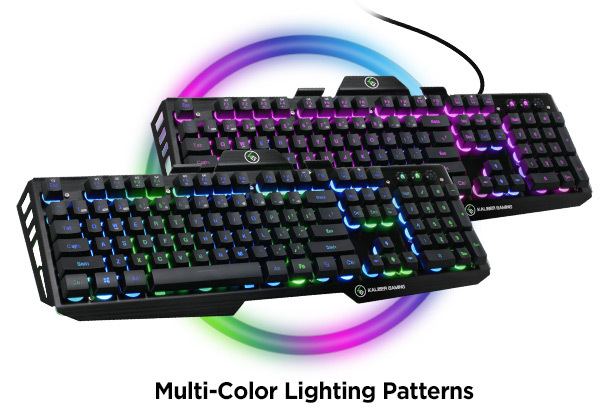 HVER RGB carries on the plunger key design that provides a mechanical keyboard-like feel, premium double injected keycaps, 26 anti-ghosting keys, Windows key lockout, and a heavy-weight gaming base. Kaliber Gaming by IOGEAR's KORONA RGB Gaming Mouse is an excellent choice for both up-and-coming gamers, as well as experienced enthusiasts that want high performance at a great value. KORONA's gaming-grade optical sensor provides outstanding performance in all FPS, MMO and RTS games. 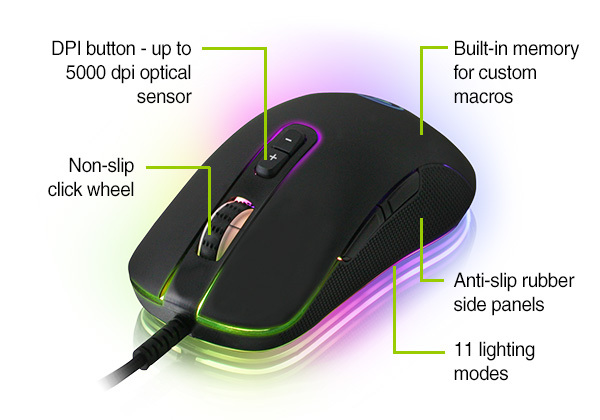 KORONA also features anti-slip rubber side panels that provide a comfortable, non-slip grip, shift-on-the-fly dpi buttons with up to 5000dpi resolution and built-in memory for storing custom macros when using KORONA’s user interface software. 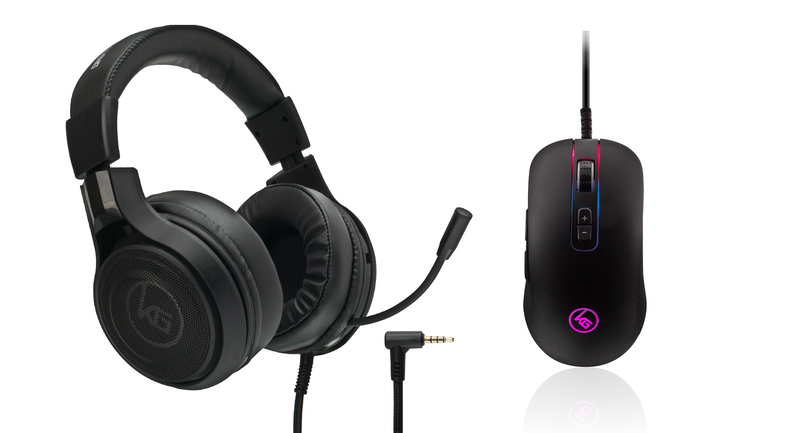 Kaliber Gaming's NUKLEUS Universal Gaming Headset is designed to deliver the core features needed to destroy the competition, without killing your budget. The NUKLEUS features large 50mm drivers inside noise-isolating ear cups for deeply immersive sound, with the clarity for faint details like hearing your opponent's footsteps. 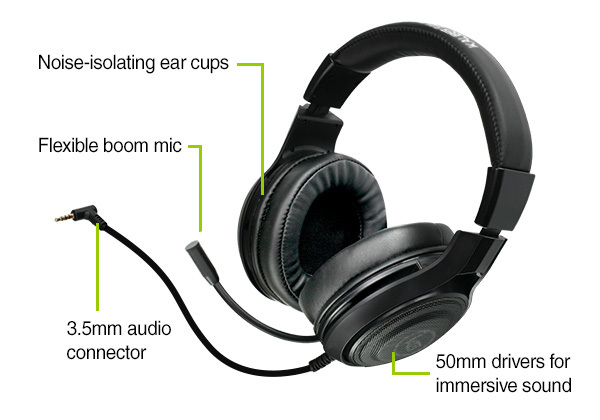 NUKLEUS also includes built-in volume control, a flexible boom mic, and a universal 3.5mm audio connector making it compatible with PS4, Xbox One*, PC/Mac and mobile devices. 26 Anti-Ghosting keys so you never miss a keystroke! 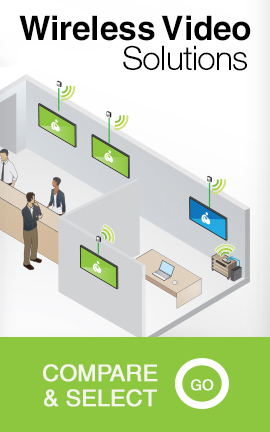 * GME631 User interface software not compatible with Mac OS. Unit Dimension Mouse: 1.5" x 2.6" x 4.8"; Keyboard: 1.6" x 7.1" x 18.6"; Headset: 9" x 4" x 7.25"